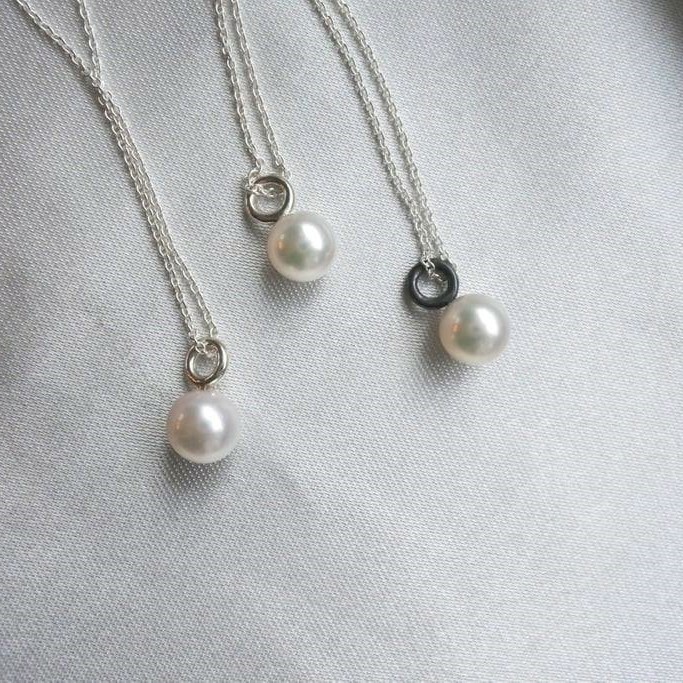 This necklace is made in sterling silver with an Akoya pearl cultured in Japan. The pearl is ca 6mm. A 1mm thin silver chain of 45cm is included. Choose between regular "white" silver or oxidized(black) silver. The necklaces are ready to be delivered and will be sent to you within 2-5 working days.